Home CDN , children , crafts , December , feature , holiday , holidays , homeschool , papercrafts , printables , US , worldwide December 29th - Freebies! -- The game of bowling can be traced back to approximately 5200 BC, when ancient Egyptians used stones for their balls. Today marks the anniversary of the day the modern bowling ball was invented. Actually, it is stated the wooden version of the modern bowling ball was invented on this day in 1862. Today, they use some sort of plastic/polyester compound. 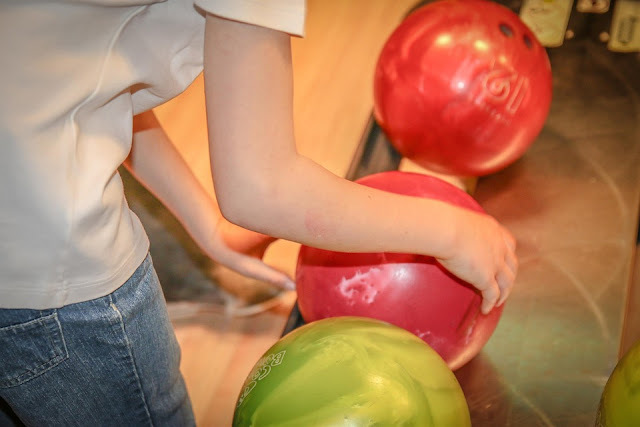 -- If you are a sports enthusiast who is quite keen to learn the basics of bowling and master this game in its true sense, then you have certainly landed on the right page. Kindly note, this book will reveal all the basic nitty-gritty of bowling fundamental concepts in a detailed way. By learning these fundamental/core aspects, you can easily master bowling in no time! • Brunswick Rhino Bowling Ball -- Looking for an entry level bowling ball or a ball which is not going to react strongly to the dry or oily parts of the lane? Then look no further than the Brunswick Rhino bowling ball. This line of bowling balls balances power and control by pairing the R-16 reactive coverstock and a light bulb shaped core. • Pyramid Prime Bowling Bag -- Pyramid offers an affordable priced single ball bag to help you Choose Your Path. The Prime One Single Tote is everything you need to get started. - Anniversary of the massacre of more than 200 Native American men, women and children by the US Seventh Cavalry at Wounded Knee Creek, SD. Government efforts to suppress a ceremonial religious practice, the Ghost Dance (which called for a messiah who would restore the bison to the plains, make the white men disappear and bring back the old Native American way of life), had resulted in the death of Sitting Bull, December 15, 1890, which further inflamed the disgruntled Native Americans and culminated in the slaughter at Wounded Knee, on December 29th. - Commemorates the creation of this thick spicy soup, which was served to the Continental Army during the cold, harsh winter of 1777-1778. Pepper Pot soup was first made on December 29, 1777. - Time runs out! This day reminds us there are only two days remaining in the year. All those dreams you have had, all those fantasies? It is time, friend. Do it! - The first US branch of the Young Men's Christian Association was organized at Boston on December 29, 1851. It was modeled on an organization begun at London in 1844. - Thomas, Archbishop of Canterbury, was born at London in 1118 and was murdered at the Canterbury Cathedral on this date in 1170.